Are you there little unicorn? 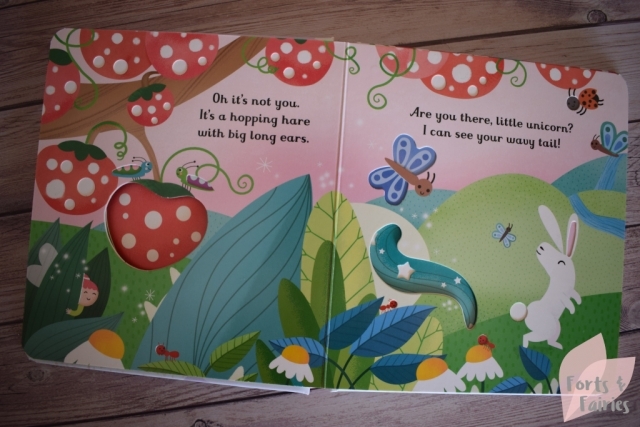 is a new board book in the Little peep-through books range from Usborne Books. 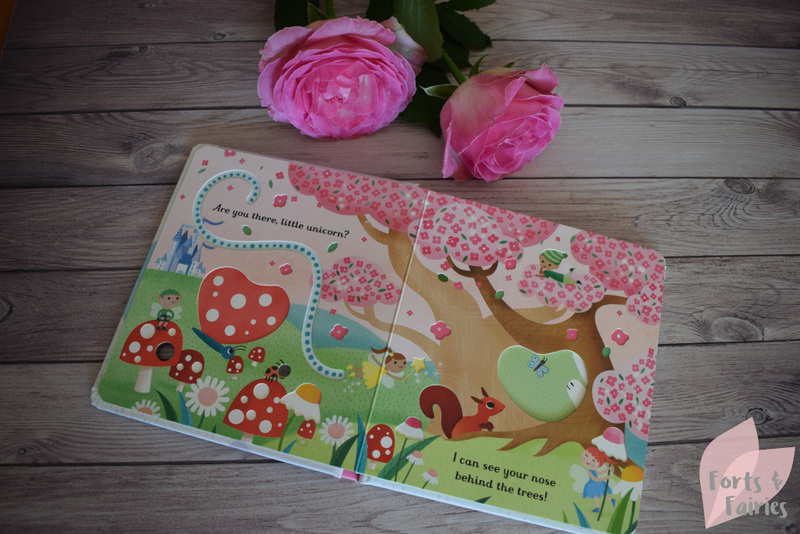 It’s a beautiful, interactive book that young children will love exploring filled with brightly coloured illustrations and little paths to follow and peep through holes to discover. This is a small but sturdy board book so it’s perfect for young babies and toddlers to hold, and easy to pop into a bag for a trip out too. Even the cover features amazing peep-through holes and cut outs that children will love to touch. Little unicorn is hiding, and with every page you read you’ll see another part of her – her nose, her tail and even her horn. But as you turn the page you’ll discover that it’s not her at all, its rabbits and mermaids, birds and fairies. 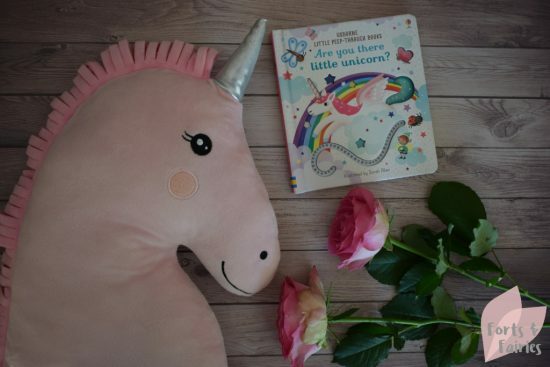 Finally you’ll find little unicorn as she flies home to join her mama. I love books that encourage interactive storytime, and with all of the textures to explore, holes to peep-through and paths to follow, your child will be engaging by touching this book and spotting new friends along the way. It’s beautifully illustrated with bright colours and promises to capture the attention and imagination of any small child. The book is written by Sam Taplin, illustrated by Sarah Allen and designed by Nicola Butler. Are you there little unicorn? Little-peep through books is available from book stores and online retailers for a recommended retail price of R130. 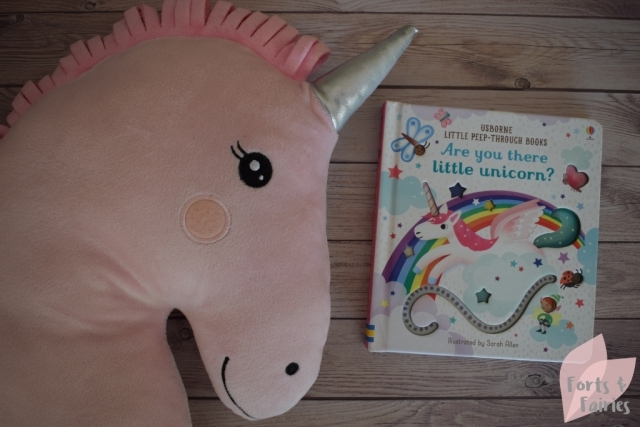 Thanks to Penguin Random House for sharing this lovely unicorn book with us.